The Christmas season is a festive time in the Charlotte area. Decorations and Christmas trees adorn many of the public spaces like parks, streets, malls and shopping centers, and there are plenty of holiday-themed attractions to visit. I would imagine that Charlotteans and visitors are sharing some of these experiences on social media, but there didn't seem to be a prevalent hashtag being used to unite this effort. So I've suggested one: #ChristmasInCLT. It spawned from last Monday night when I was making a quick trip to Northlake Mall. As I was walking up to the entrance at the food court wing, I was met by the mall's towering Christmas tree. I took a few photos of it and decided I would post it on Twitter. But before doing so, I did a quick search on my phone's Twitter app to see what Charlotte Christmas-related hashtags that might be out there. None of the variations I searched for had more than one or two tweets posted with them, and for a couple of those the tweets were from last Christmas. So, I decided on #ChristmasInCLT and a few of my friends have joined in. @HollidayInk - I will follow your lead. #ChristmasInCLT. Start using the hashtag folks! Good idea - I'm in! RT @HollidayInk: Oh yeah, why not make #ChristmasInCLT a thing? Up to this point, I've only been using #ChristmasInCLT on Twitter, but I encourage you to use it there as well as Facebook, Instagram, Tumblr, Pinterest, and wherever else hashtags are used. Wouldn't it be great to be able to look at the experiences people are having in Charlotte during Christmastime? This would be especially fun to peruse, say, one evening while you're home--or away from home--on vacation for the holidays. So go for it! Share photos and messages from the holiday events you attend, places you go, Christmas stuff you spot, and more. Go ice skating outdoors in Uptown. NASCAR Hall of Fame Plaza, 400 E. Martin Luther King Jr. Blvd., wbt.com/holidayonice. 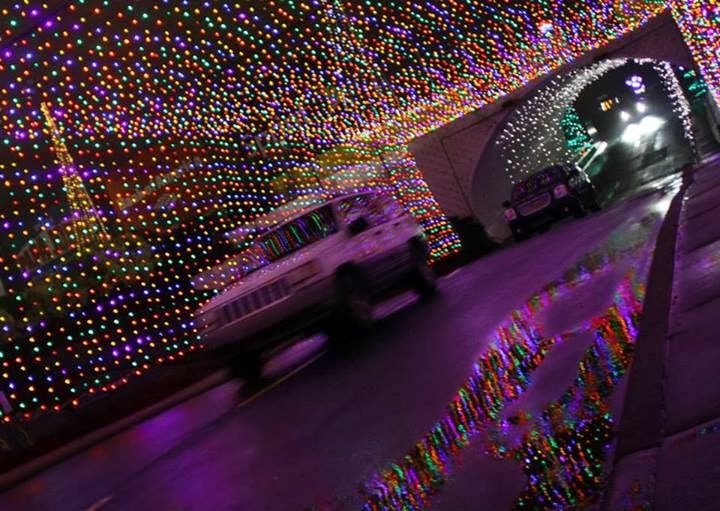 Drive through displays of more than 3 million lights, including on the racetrack. Charlotte Motor Speedway, 5555 Concord Pkwy. South, Concord, charlottemotorspeedway.com. Oh yeah, Christ is the reason for the season. Billy Graham Library, 4330 Westmont Dr., billygrahamlibrary.org. See why this small town is known as Christmas Town U.S.A. McAdenville, mcadenville-christmastown.com. This is a great idea because a lot of people do decorate for Christmas as well as the city and store owners. Great way to help spread our local holiday cheer.